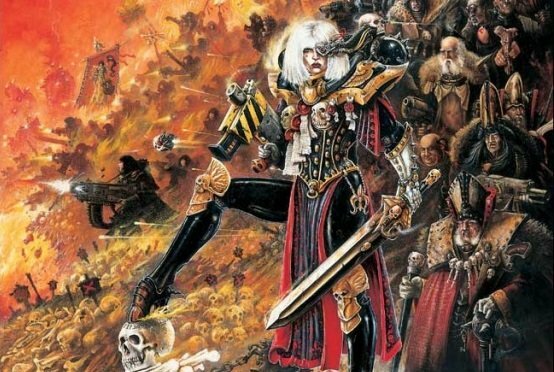 That’s right, the curtain’s going up on Armageddon since you can now pre-order the rulebook and secure not only the rules of the game, but also each and every faction that’s been released–and to celebrate this fact, two more factions have just been released, the Inquisition and the Adepta Sororitas. This peculiar array of alien crystals creates a distorting resonance on the frequencies used by plasma weaponry, causing such guns to fire more wildly, making it almost impossible to keep them on target. Enemy fighters suffer a -2 to hit modifier when targeting a fighter equipped with an Uluméathi plasma syphon with a plasma pistol, plasma gun or plasma caliver. 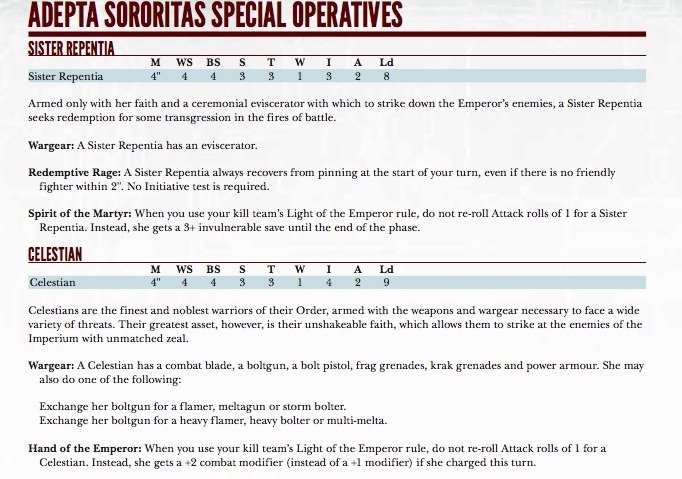 Meanwhile, the Adepta Sororitas bring to bear their incredible faith and surety in the Emperor, which takes the form of a 6+ Invulnerable Save and the ability to once per game, at the start of either shooting or hand to hand, gain the ability to reroll To Hit and Attack Rolls of 1 for the duration of that phase. And with the standard Sister having a BS of 4, you’ll be sure to land the shots you need that phase. 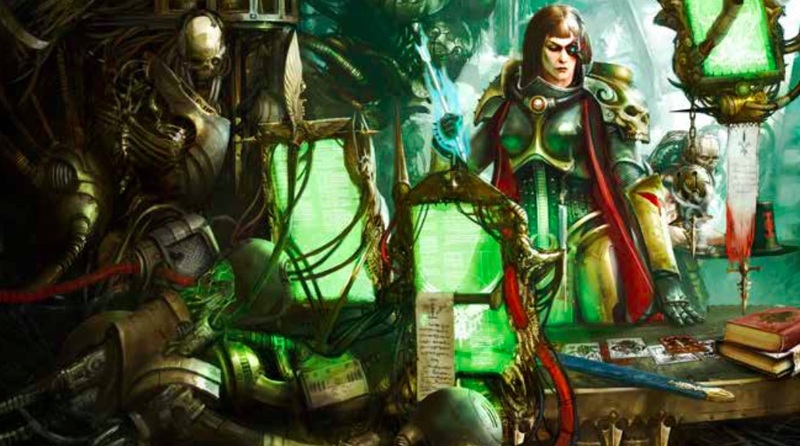 Their Wargear is pretty powerful as well, giving them access to the Simulacra Imperialis which lets them reuse their 1/game reroll ability, and the Condemnor Boltgun which has a single shot anti-psyker round. 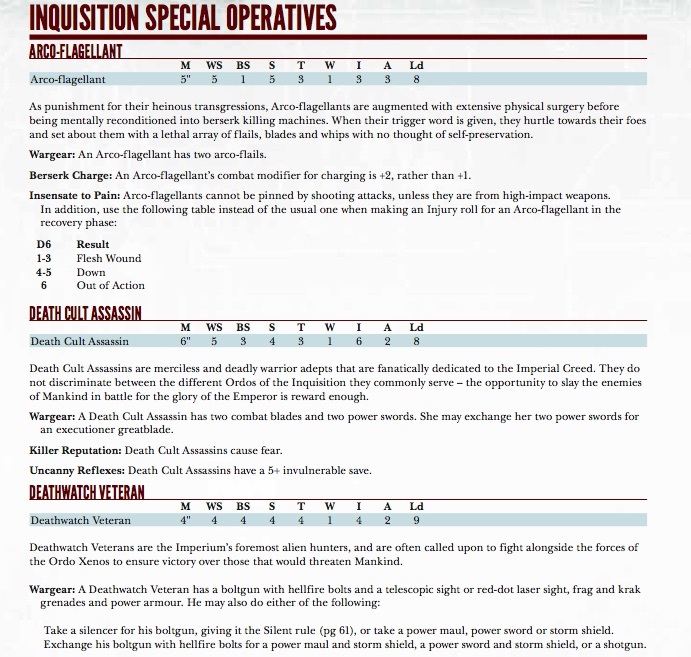 And if you want to leave the battlefield awash in holy fire and devastated foes, then their special operatives have got what you need in the form of the Repentia, Celestian, and Seraphim who bring with them powerful abilities and also the Eviscerator Chain Sword which delivers a beating and a half to enemies, reducing their ability to counterattack. Perhaps negating it altogether. And each has their own way of interacting with the Adepta’s special reroll rule. Armageddon is wracked with war. 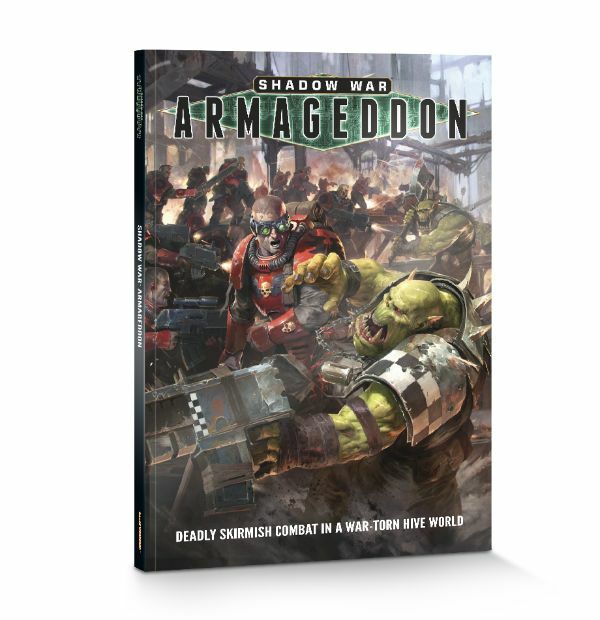 As hordes of ferocious Ork warriors surge across the planet, they are met in combat by the combined forces of the Imperium. The bloodiest and most gruelling battles are fought within the hives: the ancient, towering cities that are the last strongholds of Humanity. Across Hive Acheron, elite squads of soldiers are deployed where larger armies are unable to operate. These guerilla fighters creep through the twisting pipes and gantries of the hive to strike deep within enemy territory. 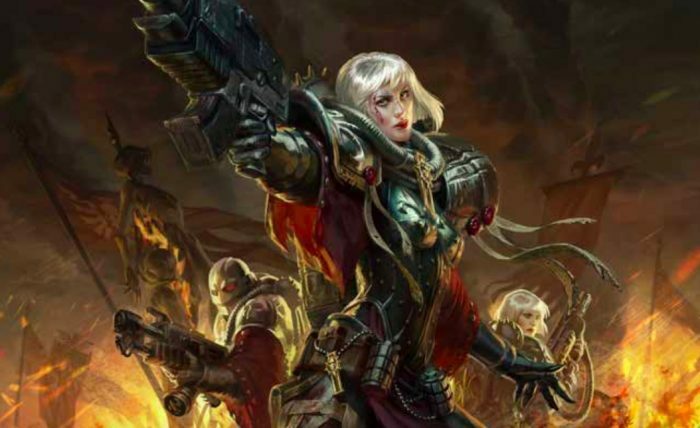 They are assassins, and saboteurs – they are the kill teams of Armageddon, battling over precious promethium in order to win the shadow war and decide the fate of the bitter battle that has engulfed the planet.